representatives of islandwide land strugglers were gathered to Chunnakam-Jaffna to share their experience for the first time. 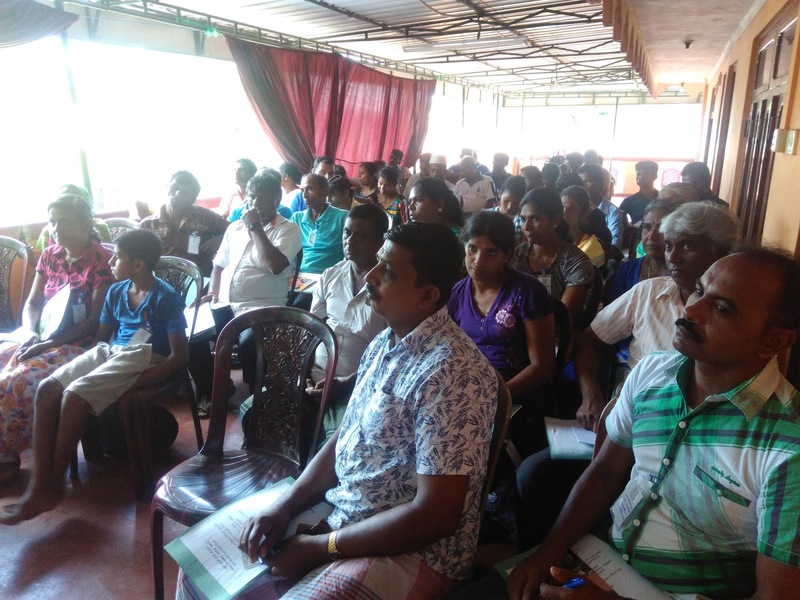 61 persons from 11 districts participated in the program including all districts in North and East together with Puthlam, Kurunegala, Monaragala and Gampaha. 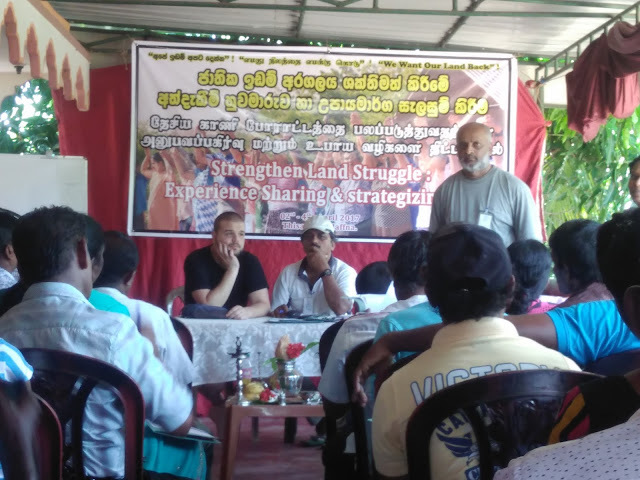 Those people represent the struggles in 14 locations of the country including Ashraf Nagar,(Ampara) Walikamam, (Jaffna) Pasikuda (Batticaloa), Panama (Ampara), Kepapilaw (Mulative), Pallimune (mannar), Kalpitiya (Puthlam), Palawaththa (monaragala), and sampoor (Trincomalee). 3 days long program conducted on 2nd to 4th of April in Thisa Hotel in Chunnakam. 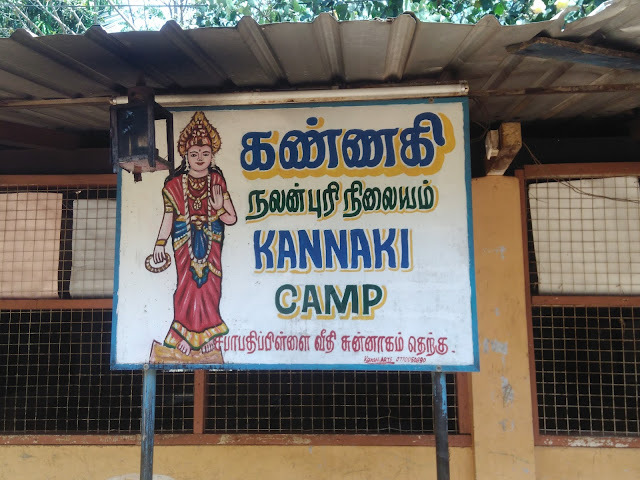 on 2nd of April, participants visited Kannaki IDP camp and a resettled area in OOrani - Jaffna. 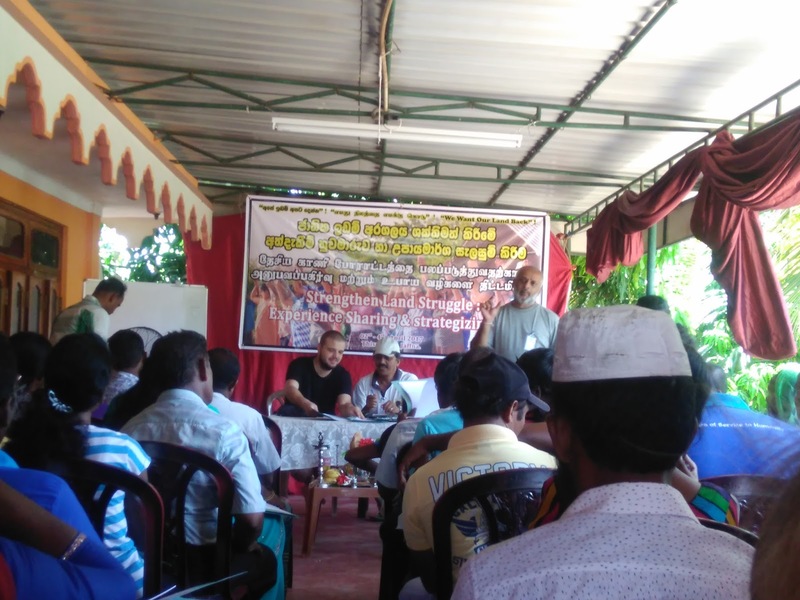 On the 4th of April, the group visited Nallur temple and later released the Nallur Declaration of land strugglers on Land issues of Sri Lanka. 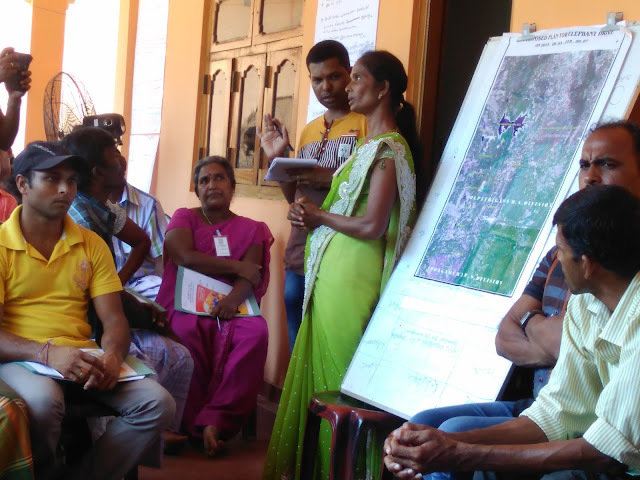 The program was successful as representative emphasise during the discussions and feed back that the program gives them new hope and strength in the land struggle as well as it made a unity among people who are fighting for their land rights. 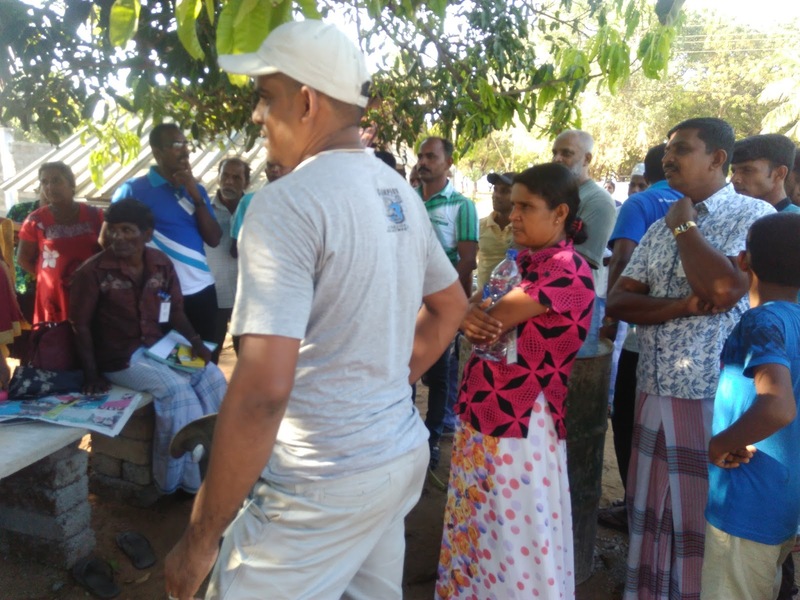 Around 50 members of following communities ………names….gathered in Jaffna from 2nd to 4th April, to shared our experiences and reflected up on our own struggle. We are the representatives and active members of the above mentioned communities engaged in the continuous struggle in obtaining the right to exercise our land rights, hereby declare our expectations. Many of us lost our houses, our agriculture lands and our coastal fishing areas due to war and enforced economic policies. Businesses and security forces are occupying our ancestral land and restrict our livelihoods. We as citizens of Sri Lanka were awaken with hope and strengthen with the change that took place on 8th of January 2015, by the people , for the people .Many times the Sri Lankan Government promised to release our lands and coastal areas but they never kept their promises. On this day 4th of April 2017, at the premises of Nallur Temple we pledge to continue our struggle for our own rights and demands until they are fulfilled.